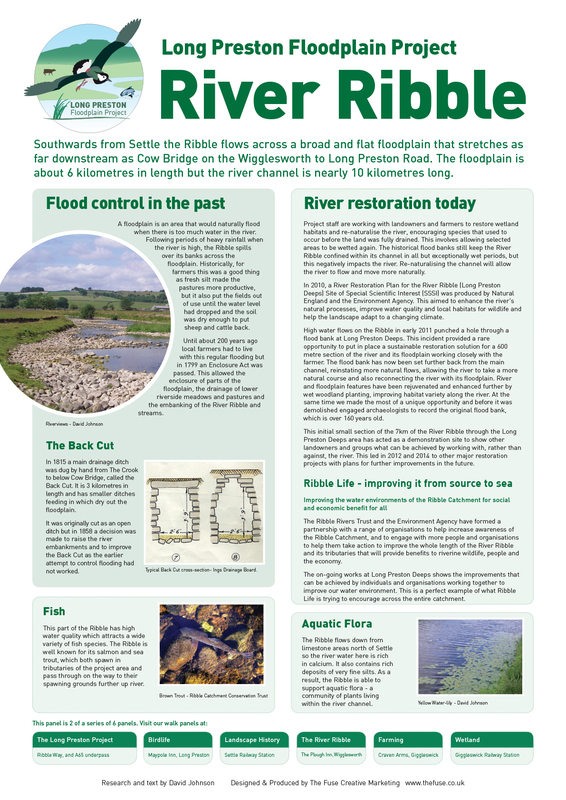 Two river restoration projects have been achieved but before progressing further schemes, the decision has been taken to take a thorough overview of the site and carefully consider the future. Adrian Shepherd has been taken on to lead on the research and will work with Dave Tayler through YDMT, thanks to funding from NE and EA. 1. Research the opinions of all stakeholders including partners, landowners, user groups and other interested parties. 2. Consider ideas and likely sites and assess the various constraints on these. 3. Identify a priority project for 2014 and prepare for design phase. 4. 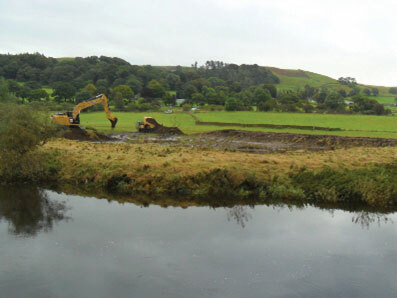 Achieve communications through the website, leaflets, public/steering group meetings and site visits, to enable a wider and better understanding of the River Restoration Works Phase 1 and 2 and wet grassland creation schemes. 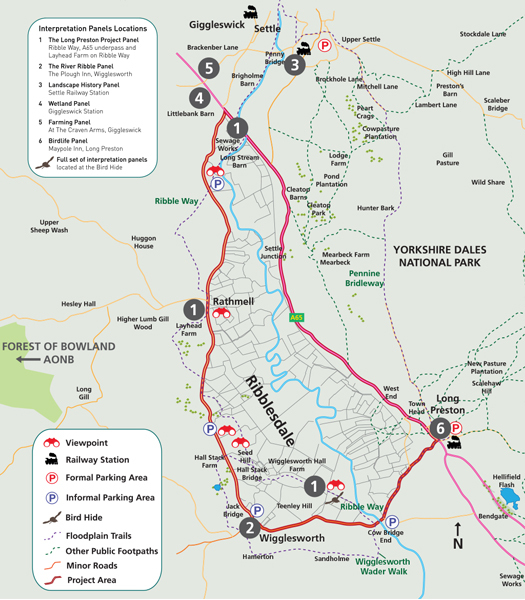 In addition the project has gained funding from NYCC, YDNPA and Forest of Bowland AONB Sustainable Development Funds. 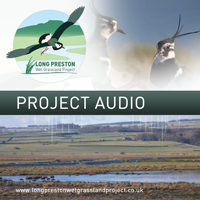 These will, in spring 2014, create a bird hide on the Ribble Way at Wigglesworth Hall Farm, new interpretation and a Bird Report from the 1960s to present. 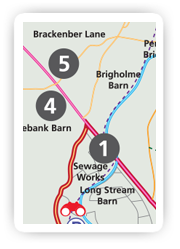 View the completed River Ribble Restoration Projects here.